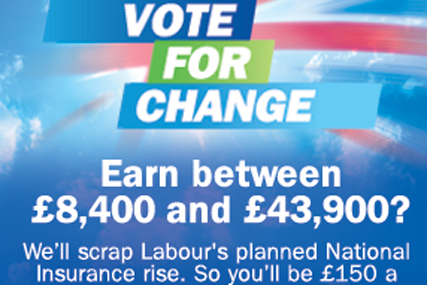 LONDON - The Tories are using Match.com to get digital ads, championing their pledge to reverse Labour's plans to increase National Insurance, in front of people in the exact salary band their pledge affects. Match.com is the UK's largest dating site and, because people provide their salary details when they register, it is able to restrict the ads to those affected by the Tories' plans. The ad was conceived internally and designed by Perfect Day, and the space was bought by LBi.